Hart County is located in what I consider the beginning of western Kentucky, where the higher part of the state slopes down to the shorter western section. Hart County is centered between Hardin County on the Ohio River and Warren County that almost reaches the Tennessee border. The county seat of Hart is Munfordville, a small town of less than 2,000 people. The Green River flows through the county. Mammoth Cave National Park is a draw for people the world over. Ritchey and I visited this area in May of 2016. It was a great day for photographs! 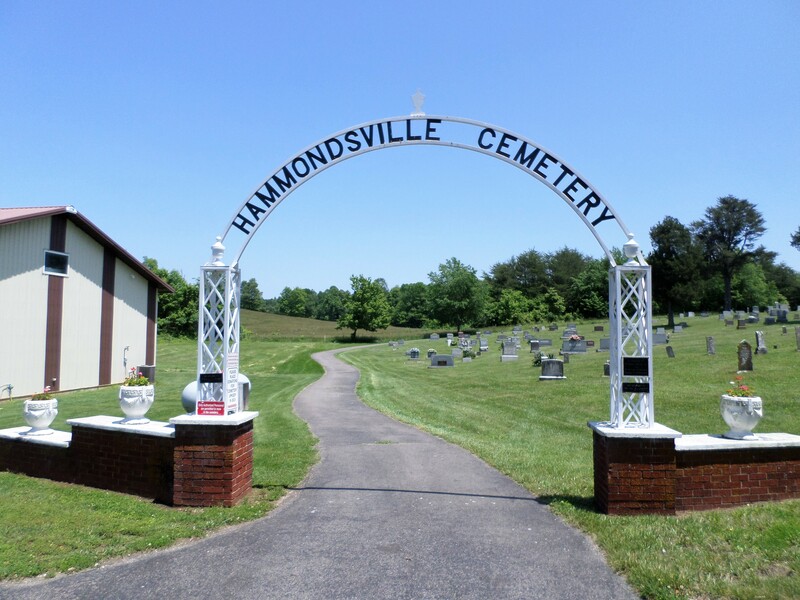 One of the cemeteries we visited in Hart County was Hammondsville – a rural cemetery in the northern section of the county. It is situated next to Three Forks Bacon Creek Baptist Church, but is the cemetery for the Hammondville community and the church, too, I’m sure. Notice there is an ‘s’ in the cemetery name, but in there is no ‘s’ in the small town’s name. Today I will share a few of the gravestones we photographed during our visit. 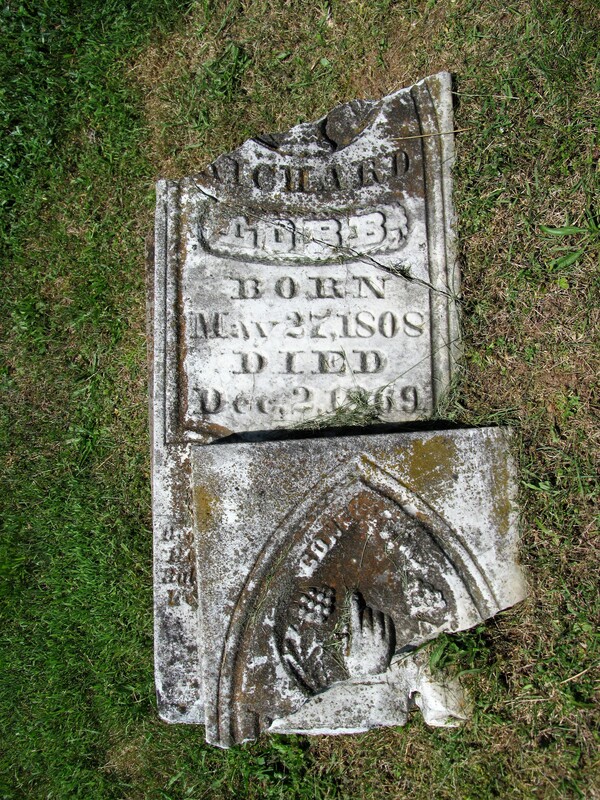 Richard Lobb, born May 27, 1808, died December 2, 1869. Martha B., wife of Rev. D. J. 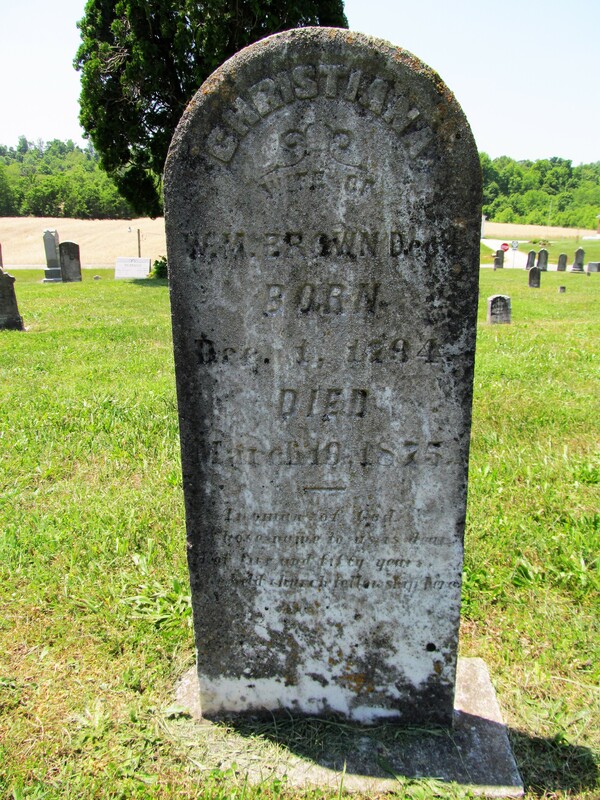 Brown, born January 4, 1837, died August 5, 1901. Rev. 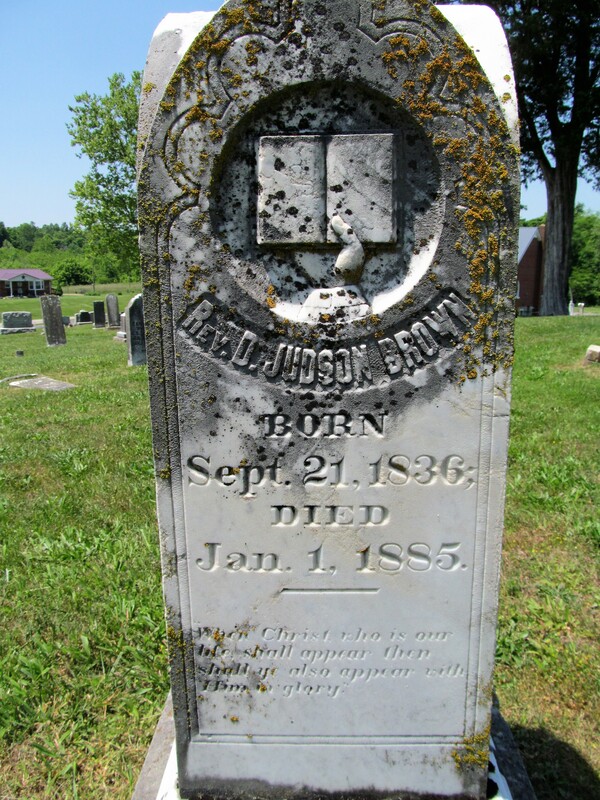 D. Judson Brown, born September 21, 1836, died January 1, 1885. 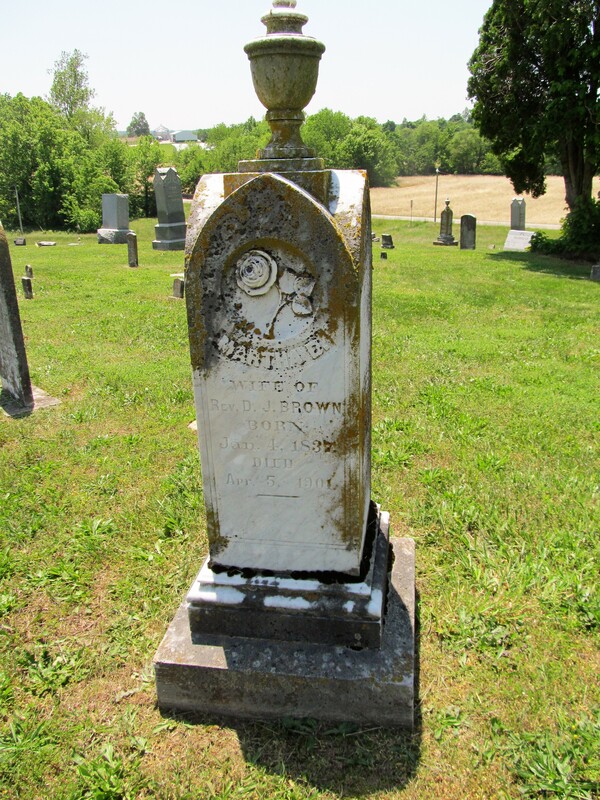 Christiana, wife of W. M. Brown, born December 1, 1794, died March 19, 1875. 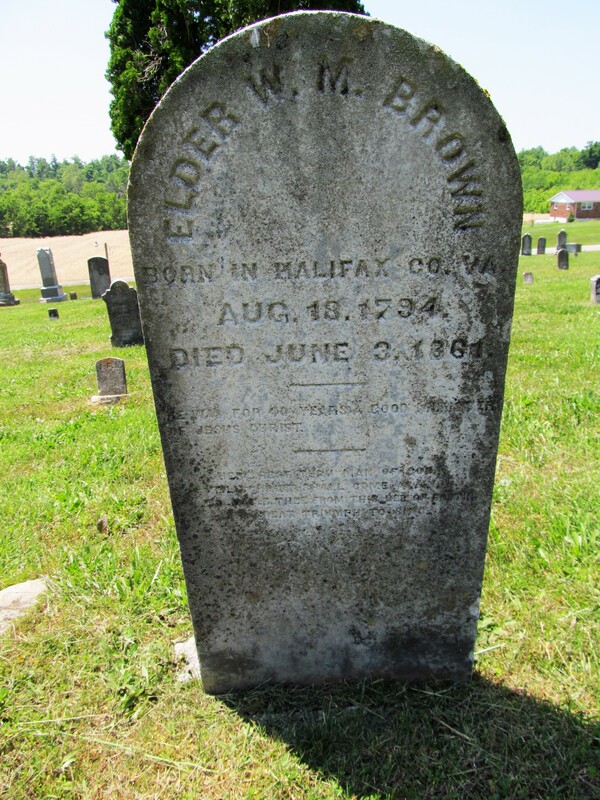 Elder W. M. Brown, born in Halifax County, Virginia, August 18, 1794, died June 3, 1861. 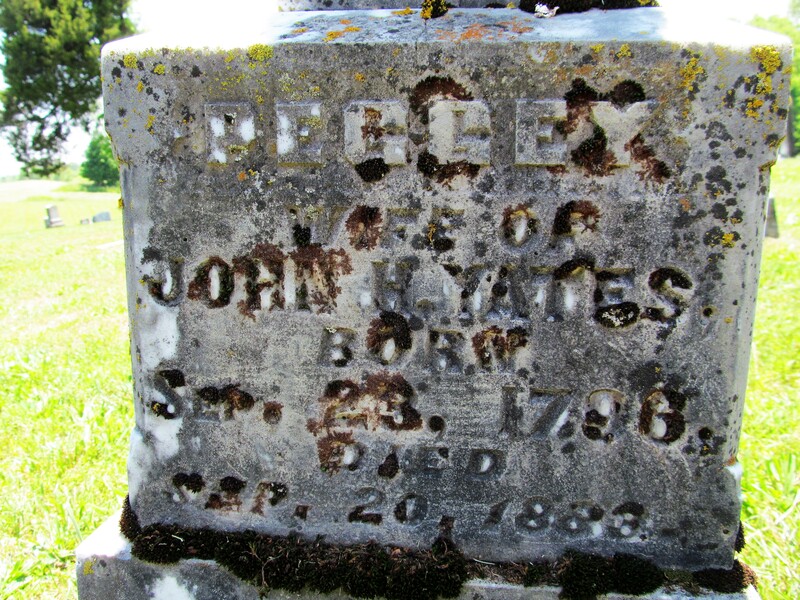 John H. Yates, born April 17, 1789, died March 18, 1883. 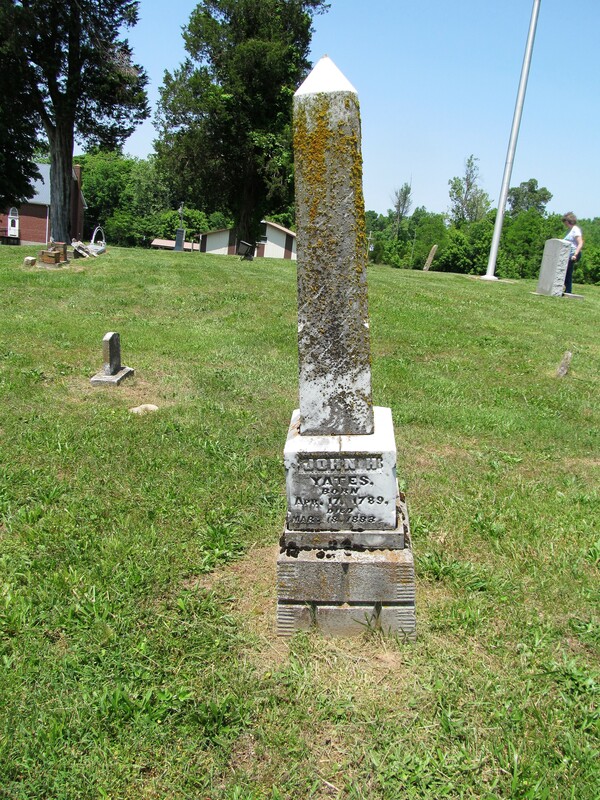 Peggey, wife of John H. Yates, born September 23, 1796, died September 20, 1883. W. A. Talley, 1861-1939. 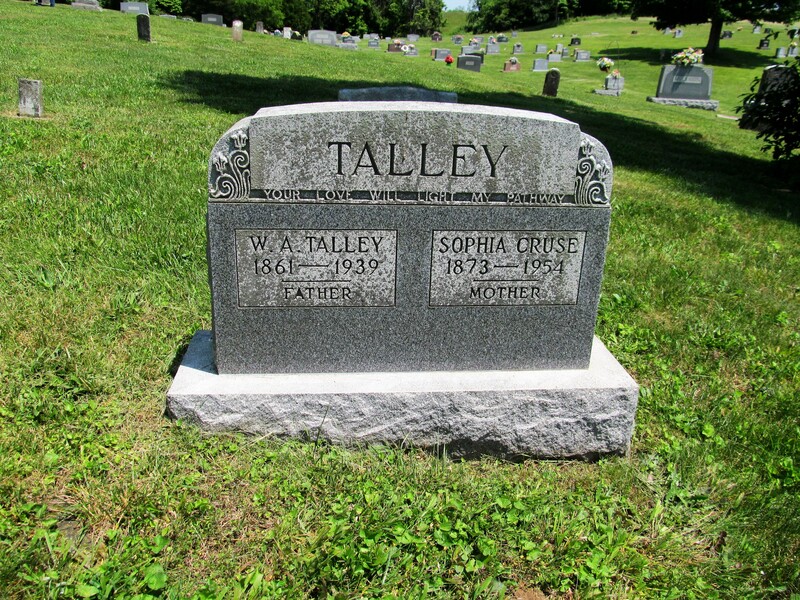 Sophia Cruse Talley, 1873-1954. 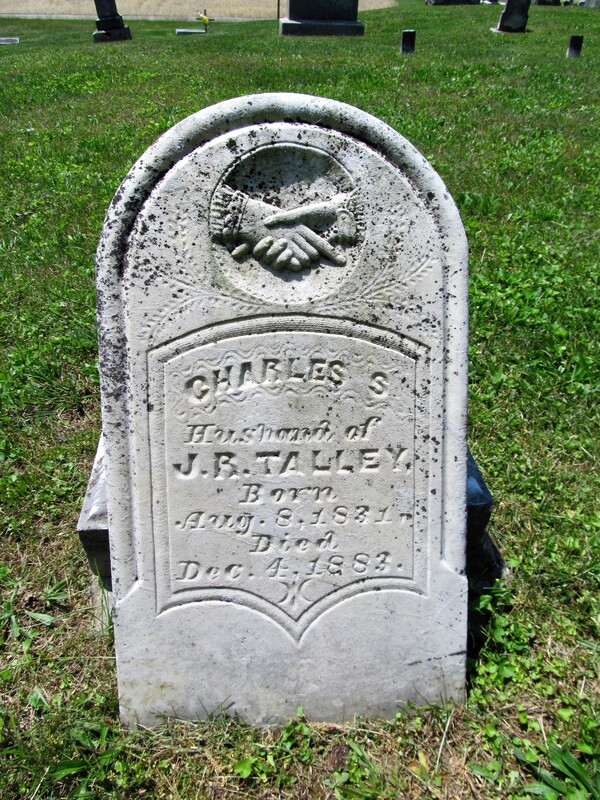 Charles S., husband of J. R. Talley, born August 8, 1831, died December 4, 1883.